I think everyone is in love with holidays. It’s fun and full of joy time to spend with family and friends. Today I want to draw your attention to my favorite holiday’s party outfit ideas to try this year. Personally, I am so excited about holiday parties. This is a perfect time to dress up and buy yourself fancy clothes. That’s why I decided to create this awesome compilation of holiday party outfit ideas to try this year. You are about to see beautiful little black dresses, tuxedo outfits, red looks, winter white outfits and glittering dresses. All in all, read on to see some great ideas to try this year. In search of a functional and stylish accessory? If so, then I am here to show you best scarf tying ideas to try this season. This piece is very handy during cold weather seasons, but some designs come in skinnier and sheerer materials that can be used during spring and summer months. In other words saying, this accessory can be used everywhere and anytime. Of course, you should buy the one that will complete your outfit. I am saying it has to compliment your outfit’s colors. In today’s post we are going to see scarves tying techniques, so you can give it a unique look. Read on to find out fun and stylish ways to tie your scarf. This time I want to show you best ways how to make long cardigans look great on you this year. Cardigan is an ideal piece for keeping us warm during cold Fall and Winter months. Personally, I like this garment for its functionality that allows you to combine it with different clothing pieces, starting from jackets to coats and everything else. Yes, it is an ideal layering piece known in the world of fashion. Personally, I bought myself the one exactly for its ability to look awesome with all my favorite shirts and tees. 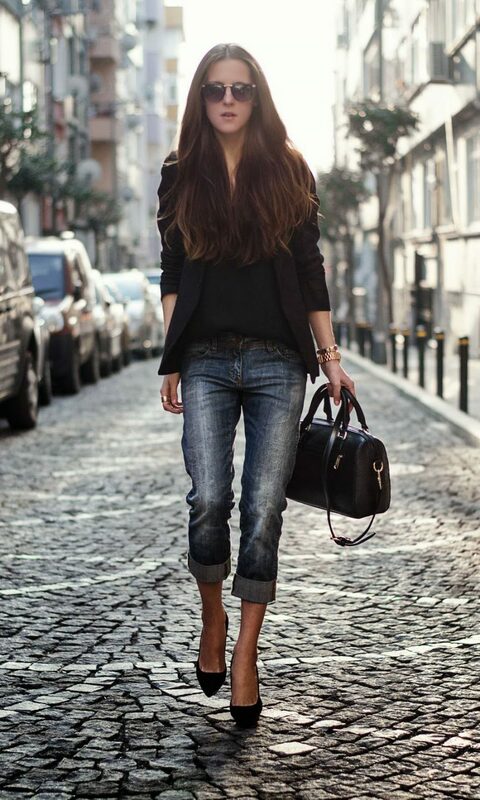 Of course, there are several tricks on how to make it look awesome with your everyday clothes. In other words saying, you have to style it right if you want to look updated. Read on to find out more. If you are bored with your everyday looks, then why don’t you make changes this year. In today’s post, I am going to share with you my favorite fashionable combinations to try in your everyday life. If you want to create something unique and chic, then you should start to combine your everyday clothes and make them look awesome. I decided to create this blog post and introduce to you my favorite combos. Read on to find out more and let me know your thoughts in the comments below. Animal print is already a classical trend in the world of fashion. In today’s post, I want to draw your attention to best ways how to wear animal print this year. I think this print will never go out of style. It’s something that will brighten up our basic everyday looks, making us look feminine and sweet. It’s time to speak about high school fashion. In today’s post, I want to draw your attention to my favorite tips and tricks on what to wear to high school this year. I know how hard and stressful it can be to figure out what you should dress up and look like. If you are in search of the hottest trend to try this year, then I am here to show you best tips and tricks on how to wear polka dots. If you want to refresh your outfit, then the best way is to try on garments with polka dot print, starting from tank tops to tees, sweaters, dresses, pants, leggings as well as scarves and shoes. This time I want to speak about boho fashion. In today’s post, we are going to see boho jewelry and best ways how to wear it this year. Personally, when I hear word boho, I automatically imagine a woman who is clad in layered outfit completed infringes, lace and crochet. She wears knits and chunky jewelry. Speaking of jewelry, then it’s very individual and natural. Frankly speaking, there are no trends in boho jewelry. All you need to know is what material can be used and what colors to wear. I love to see gals who appear in beautiful creations made from natural materials, like metal, wood, etc. It’s very rarely, almost impossible to find boho jewelry made of plastic. Anyway, we are here to see a stylish guide to what boho jewelry to buy this year. If you want to create a stylish and business-friendly look, then the best way is to complete your outfit with a cool blazer. Indeed, blazer is a versatile piece of clothing that helps you achieve different looks. As I have already told, it makes you look business-friendly, as well as smart, chic and polished. There are lots of styles to choose from, starting from classic and preppy designs to casual and relaxed types that make you look laidback and cool. Speaking of colors and prints, then everything depends on your preferences and personal choices, as you can go from solid color designs to colorful and printed must-haves. Anyway, I think we should proceed and see through different looks you can achieve with this pretty garment.